The annual dues are $5.00 when mailed via the US Postal Service to the NCPA Treasurer. To use the USPS mail-in form, click here. Dues paid online are now $5.50/year. The additional $0.50 is to cover the transactions fees charged to the Northern California Packet Association from PayPal. There are two levels of membership. Primary and Secondary. 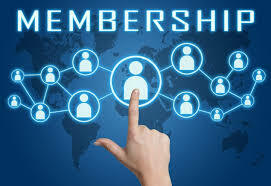 Primary Members are essentially Directors or Board members. They are relatively active and have voting rights. Primary Members also represent some aspect of digital communications, including "interested user." Primary Members wishing to pay dues online, please fill out the online form below. Secondary Members have no voting rights, don't pay dues, and act merely in an advisory capacity as they wish. Secondary Members may also apply online by filling out the form below. and then click the Next Page button below.